Amazon likes to think of itself as the great equalizer because it’s a retail destination where small independent sellers from all over the world can sell right next to household names. Undoubtedly, the most significant advantage of selling on Amazon is the sheer number of people you can reach. Over the last six months, in the US alone, Amazon had an estimated 2.4 billion monthly visits. There are benefits and challenges to selling on Amazon. While small independent sellers can reach customers across states, countries, and continents, they have to battle the larger budgets and brand recognition of more established, well-known companies. And sellers are no longer just competing against each other for sales; they're now in competition with Amazon, too. So, how does one stay afloat in this ever-changing and growing sea of retail change? Let's first take a look at who’s selling on Amazon. From eyelashes to fireplaces, Tide to Nike, what started as a platform to sell used books is now the single largest online retail shopping destination in the world. More than half of all units sold on Amazon worldwide last quarter were from third-party marketplace sellers. In the US, this is nearly 300,000 small to medium-sized businesses! Arbitrage: These are sellers who take advantage of discounted items from other retailers (think Target, Walmart, or Tuesday Morning) and then sell those items on Amazon for a higher price. While this can be a good way to begin selling on Amazon (it doesn’t require a substantial capital investment and can be lucrative if you find the right product), it isn’t very scalable. Amazon has recently cracked down on arbitrage sellers, stating that only authorized sellers can sell specific brands. Merch: Merch by Amazon is an invitation-only service that enables brands and content creators to create and sell branded shirts with no upfront cost. Selected sellers upload artwork, choose their shirt type and color, provide a description and they’re done! Amazon creates a product page and handles production, shipping, and customer service. Merch sellers receive a royalty for each item sold. Private Label: Private label sellers find products that are already selling well on Amazon, create their own packaging and logo, and then try to market them better than their competition. These sellers often sell under a trademarked brand and work with a supplier to create their own version of a popular selling product and bring it to market. While private label selling does have its advantages it requires an upfront investment to get started. Wholesale: Wholesale sellers buy large quantities of products from established brands and resell them on the Amazon marketplace. Usually, this type of selling involves a substantial capital investment to acquire the products, labor, and facilities necessary for success. Additionally, it can be difficult to find manufacturers that aren’t already selling their products on Amazon. Manufacturers: Manufacturers are brand owners who sell their products on Amazon as authorized sellers or retail partners (e.g., Amazon Pantry, Amazon Fresh, Prime Wardrobe). With its new Accelerator program, Amazon gives manufacturers an opportunity to join the Amazon family of brands. Large manufacturers and established brands also have an opportunity to sell their products to Amazon directly as Amazon Vendors. Amazon then controls the marketing, pricing, and shipping process. This invitation-only program is for companies with large inventories, where Amazon is one of many distribution channels. Amazon Vendors can generally be distinguished by the “Ships from and sold by Amazon.com” tag that is placed by the “In Stock” text on listings. More and more well-known brands now realize that selling on Amazon should be a crucial part of their overall retail strategy. Apple recently struck a deal with Amazon to allow shoppers to buy Macs, iPads, Apple Watches, and Apple TVs. While many customers are celebrating this announcement, it’s distressing news for some sellers because Amazon has agreed to allow only Apple and Apple-authorized resellers to sell products on the site. Nike announced a partnership with Amazon in the second half of 2017. Like Apple, Nike wants to sell directly to Amazon shoppers and cut out third-party sellers. On Nike’s Amazon storefront, shoppers can find a collection of apparel, shoes, and accessories with a more diverse array of products available on the Nike website and at retail locations. Known for their basic cotton tees and underwear, Fruit of the Loom recently branched out with their Seek No Further collection on Amazon. This athleisure clothing line provides women with an upscale version of the company’s primary offerings and is also available on their website. This summer J.Crew decided to bring their budget-friendly collection, Mercantile, to Amazon. Mercantile gives Amazon shoppers access to the classic look and quality of the J.Crew brand at a significantly lower price. While a majority of Amazon shoppers are familiar with AmazonBasics and Amazon Elements, Amazon has been more discreet about the other private label companies they own and operate. Their products are found in almost every category. Lark & Ro, is Amazon’s popular women’s clothing brand. Wag is their line of healthy dog food. Happy Belly is a top-selling snack food brand, and Presto! is “Amazon’s Choice” for toilet paper and other household items. These are just a few of the many private label brands in Amazon’s arsenal. Recent media coverage inspired Amazon to be more transparent about which brands fall under their umbrella. 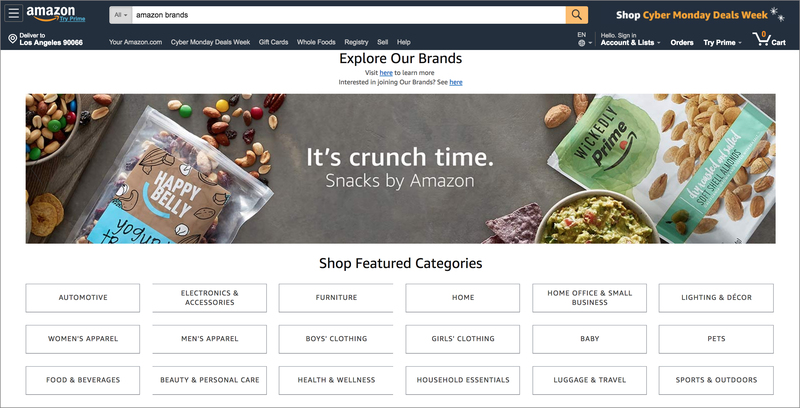 There is a now landing page dedicated to many of their featured brands, and several products sold and owned by Amazon now feature “Our Brand” or “Amazon Brand” on the product listings. While the competition can be fierce, Amazon offers customer reach that is unimaginable through any other marketplace, plus the potential for global distribution. Here are a few tips to make your storefront stand out and rise above the growing number of brands on the platform. 1. Sell a unique product or product offering. It can be increasingly difficult to be found on Amazon. The goal is to sell something that no one else is offering. Consider how you can differentiate your products from the others in the market: more features, better materials, a strong warranty or refund policy, a compelling bundle, or an additional "free" gift. A well-made, quality product that provides value for a customer can avoid the race to the bottom as other sellers drop their prices. If you’re going to sell a trending product make sure to diversify the rest of your inventory. We recommend adding products that are evergreen rather than seasonal. 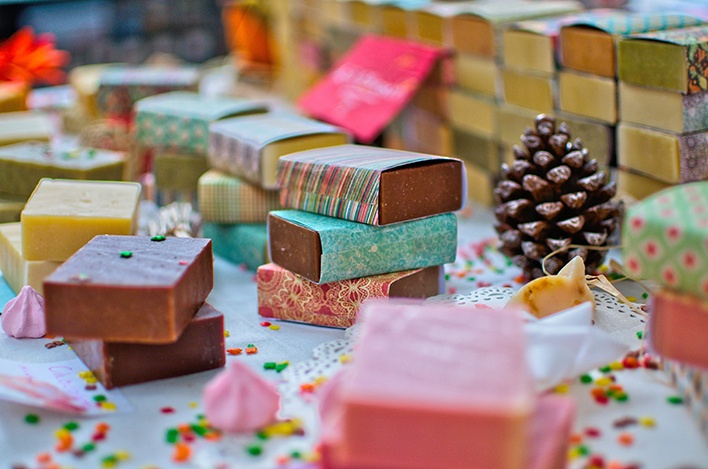 However, if your business focuses on providing seasonal or trending products make sure you’re offering a unique, one-of-a-kind option. Amazon’s latest marketing efforts, Storefronts and Launchpad, go in this direction. Storefronts is a new section on Amazon that features curated categories of “unique products from small & medium businesses.” Each week a different brand is highlighted on the landing page as the “Storefront of the Week,” with a video spotlight. Currently, only select businesses are included in this section. Amazon will be adding new categories and expanding Storefronts over time. Amazon Launchpad is an onboarding and marketing program for innovative startup products funded by crowdfunding, venture capitalists, or incubators. 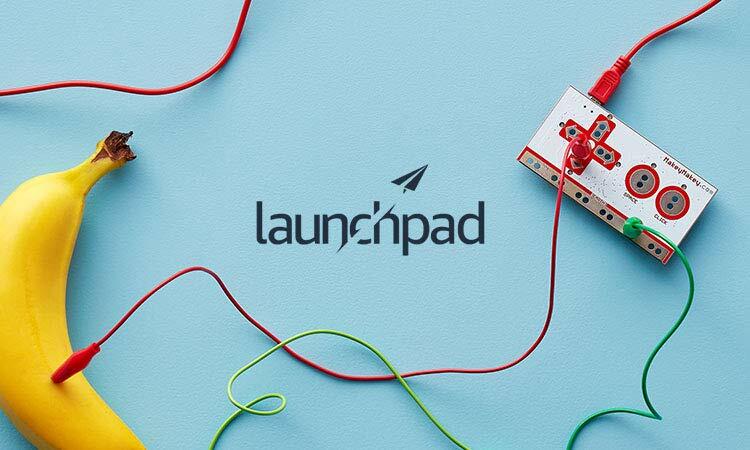 While the word "startup" might bring to mind the latest technology gadgets, Launchpad is open to entrepreneurs selling unique products in many categories. 2. Register as a Professional Seller and a Brand. It can be a constant battle to fight counterfeits and listing ‘hijackers’ (companies that sell substandard products using a reputable company’s listing). One way to combat counterfeits and hijacking is through enrollment in Brand Registry. Enrolling in Amazon’s Brand Registry gives you more control over your listing: you’ll be the only one making changes to the title, bullet points, description, and search terms. You’ll also be the seller that wins the Buy Box. If other sellers do begin to sell on your listing, you can contact Amazon to have these piggybackers removed. You’ll also have the benefit of Enhanced Brand Content, which has already been a successful addition for many sellers. Enhanced Brand Content (EBC) enables brand owners to include a unique brand story, enhanced images, text placements, and now video to their product listings. 3. Price your products so you can generate an adequate profit margin. Amazon is a great marketplace for brands with unique products and adequate profit margins. Their referral fees differ depending on the category. While the median cost is about 15% of the sale price, fees can be as low as 6% (personal computers) and as high as 45% (Amazon device accessories). A good rule of thumb is to divide your listing price by three. Typically, one third will go towards Amazon’s fees. Another third will go towards shipping and production. The last third is what goes into your pocket. Price your product accordingly and keep this in mind when researching a new product to sell. 4. Content and social marketing are crucial to building traffic. 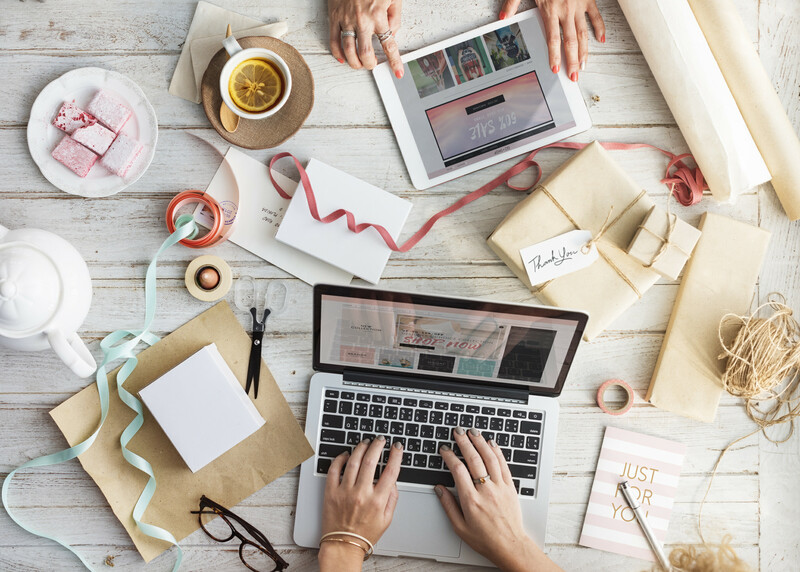 You can’t re-market to Amazon customers or actively sell to them in the future, but you can use social media and content marketing to drive sales to your Amazon listing. You can also utilize these channels when you launch new products! Build content and campaigns around launch discounts or product giveaways that interest and engage your customers. Organic and paid social media campaigns can help drive traffic and brand awareness. 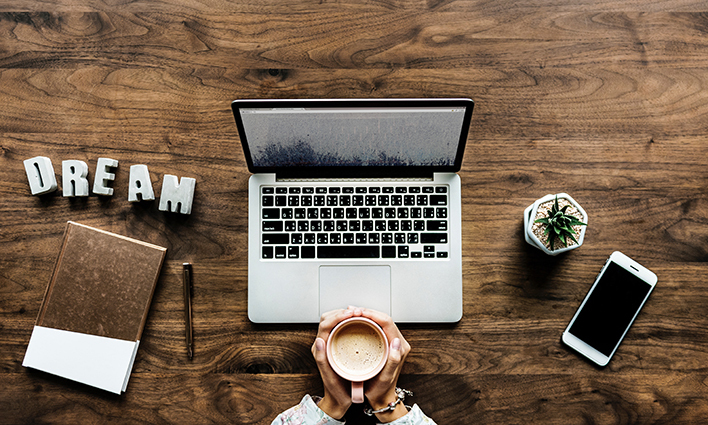 Entertaining and informative blog content can help maintain an interested customer base and provide a captive audience for the products you’re selling. The more perceived value you offer customers, the more willing they’ll be to purchase from you again! 5. Reviews can make or break your Amazon business. Amazon takes reviews and ratings into account when determining which sellers appear on the first Amazon search results page. In addition to making sure you have a top-notch product, make sure to respond to all customer queries quickly, efficiently, and with a smile. This is particularly important when handling returns. Amazon’s return process favors the customer, so a difficult return process is one of the fastest ways to get a negative review. Make returns easy and treat all customer interactions as an opportunity for a five-star review! 6. Leverage search trends for continual listing and advertising optimization. Over the years, MerchantWords has discovered that 30-50% of Amazon keywords change from month to month. Continually revisiting the terms you use in your listings and ad campaigns can help you reach more customers. Every search provides further insight into what words customers are using to find products like yours on Amazon. Our new ASIN Plus search shows which keywords a listing ranks for on page one of Amazon search results: handy information for listing and PPC ad optimization. Remember to spend your advertising dollars wisely. Trying to outbid Nike isn’t a viable long-term strategy. 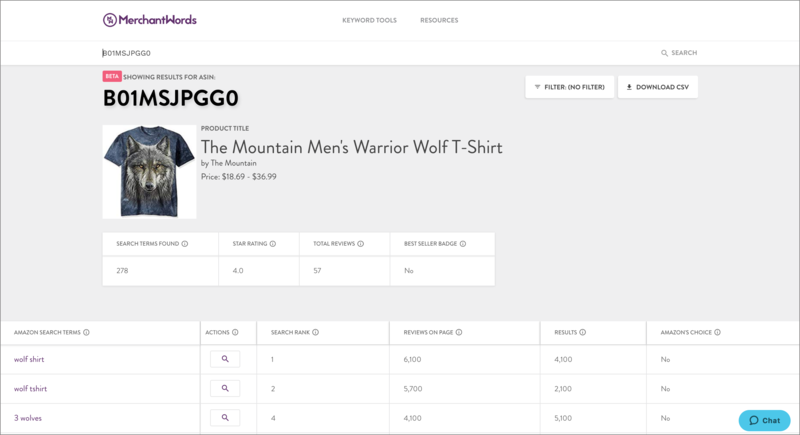 Instead, dig into the MerchantWords database to find long tail keywords that match your product. While these keywords do have lower search volumes, they can have higher conversion rates. Long tail keywords often have significantly lower bid prices which allow you to maximize your advertising cost of sale (ACoS). 7. Consider selling in a new marketplace. It’s no secret that Amazon wants to expand further into the EU, Japan, Canada, and Australia. By selling in different markets, you can expand your customer base and market share. First, research the marketplace that you’re interested in and make sure that there’s a demand for your products. MerchantWords’ global database can help you discover what customers are searching for in outside markets and how they’re searching for them. For example, Amazon.com shoppers search for phone cases, but on Amazon.in they look for phone covers. Second, understand the tax and import system. Each country has a different tax code with its own set of rules and regulations. We recommend consulting an expert to ensure you meet the requirements. Third, make sure you can deliver excellent customer service. Amazon requires sellers to provide listings and customer service in the local language. If you’re fulfilling through Amazon, they'll help with customer service, but if not, be sure to find a solution that works best for you. 8. Don’t put all your eggs in one basket. Proceed with caution, think long-term, and consider diverting some resources to your own branded retail website if you haven’t already. While Amazon offers a wide-reaching customer base and distribution channel, success isn’t easy and certainly not guaranteed. There is also the constant risk of being shut down for unforeseen reasons. So remember to maintain your presence elsewhere! Where is Amazon headed next? Amazon is set up for one thing: disruption. They regularly announce new product offerings (like Christmas trees) and collaborations with large brand name companies. Subscriptions and services are now new areas of growth on the platform. Ultimately, Amazon’s future may be in registered brands, as this allows for a marketplace focused on customer needs and product quality over quantity. Currently, there are more than 200,000 independent brands available for shoppers to choose from just in the US Amazon marketplace alone. Amazon itself is bolstering its private label brands, adding more to its arsenal seemingly every month. For the time being, Amazon gives newbie sellers, small and medium-sized entrepreneurs, and large brands access to hundreds of millions of shoppers. Ease of shopping, product diversity, and affordable pricing draw in customers from all over the globe. With the right product and selling strategy, any Amazon seller can grab a shopper’s attention. Check in next week as we examine how Amazon is changing the world of fashion!